This week we look at clips from The Big Bang Theory TV show. Last week’s episode, dealt with Sheldon choosing between a birthday party for his friend’s relative or spending the weekend playing SWTOR. So if they are changing “all class” to the point where they are “granting everyone a free respec” just a few months into the game it makes some of us a little nervous given our experience with SWG and previous MMO’s. Any kind of structural change we do (e.g. a skill that had 3 points now has 2 points) or if a skill changes what it does or moves to a different tier will require us to give all players in that tree a free respec. Anything else would be unfair to the player. I’m not going to start changing your character without giving you that option. Game Update 1.2. contains the result of several months of feedback and data gathered from real player interactions with our servers. We’re quite deliberate in our pace of making adjustments to classes, taking our time to see where classes are developing as players get into the game, watching new specs coming and going as the community develops counter measures against them. Game Update 1.2 is an opportunity for us to roll out greater changes and big picture improvements or rebalances. The changes made to most classes are more evolutionary adjustments or quality of life upgrades along with balance improvements (up and down). Still, we won’t be the arbiter of whether a change makes a skill worthwhile or no longer worthwhile for your build, you can make that decision for yourself, hence the free respec. Just a clarification, since I’m seeing a bit of misinformation around it. We do not plan to remove the reusable stims. What we said at the Guild Summit is that we’re going to phase them out – meaning while the itemization stat budget increases and new tiers of items are introduced, we’re not intending to grow the reusable stims along with that at this time. GeorgZoeller Crew Skills -> Shotgun RE? Shotgun and Vibroknife RE is coming in 1.2. GeorgZoeller Crew Skills -> Dev’s : 1.2 and Techblades etc?? We are adding a set of moddable techblades in 1.2. GeorgZoeller Crew Skills -> Augmentation Slots 1.2 ? Quote: Originally Posted by Rhaphael AFAIK it is currently not known if they will make a mechanic to create augment slots on existing orange gear. But if they don’t, most vendor/quest oranges will become useless…. With Game Update 1.2, we will enable the creation of augment slotted items through various crafting professions. You will not be able to retrofit existing items with augment slots, but this is something we’re discussing internally as ‘we probably want to add this’, so any of your feedback is worthwhile to us. If/when we offer that option, it will be added in a way that does not devalue the crafter community. Regarding augments in general, we are NOT increasing the power level of augments. The current top level augments in the game will, for 1.2. at least, remain the most powerful augments in the game. Reverse engineering for augments will be added as well (for the appropriate professions), so any augments already obtained before 1.2. should retain their value. For more information on the posts by the developers over the past week, be sure to check out this blog from Bioware. What are you most excited to see released in patch 1.2? What concerns do you have that is being or not being released in patch 1.2? Please let us know in the comment section below. We are glad to have Daniel back with us, after being there for a family member in the hospital. Glad to hear the family member is at home recovering. Be sure to check out Daniel’s Force Lore article, it is part one of a two-part feature dealing with the Jedi and the Sith. This article and all the rest of your favorite Corellian Run Radio articles are listed below for your convenience. Please be sure to let the writers and podcasters know what you think by leaving a comment in below articles. 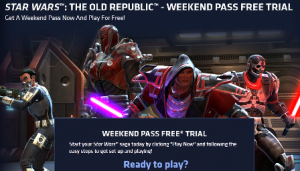 Is there a particular topic of discussion in SWTOR you would like us to cover? 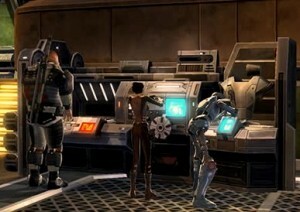 Have you seen a helpful site for questing or just an entertaining SWTOR link? If so please send them to us here at Corellian Run Radio and it might just get highlighted in future articles. You can email me at corellianrun@gmail.com, or you can leave link suggestions in the comments below, or in the Facebook group. I am heading out to coach our wheelchair rugby team, hopefully to Nationals! As I head out, here is a SWTOR music video just to for fun…turn up the speakers as Basshunter’s song “All I Ever Wanted” is set to some gameplay footage. Have a great weekend and see you all next week!